“When I’m stuck and I’ve done all I can do, I always turn to the Master,” Dr. Fannie Hewlett, Belmont College’s first African American graduate, said at a convocation held in her honor during the University’s 2015 Diversity Week. 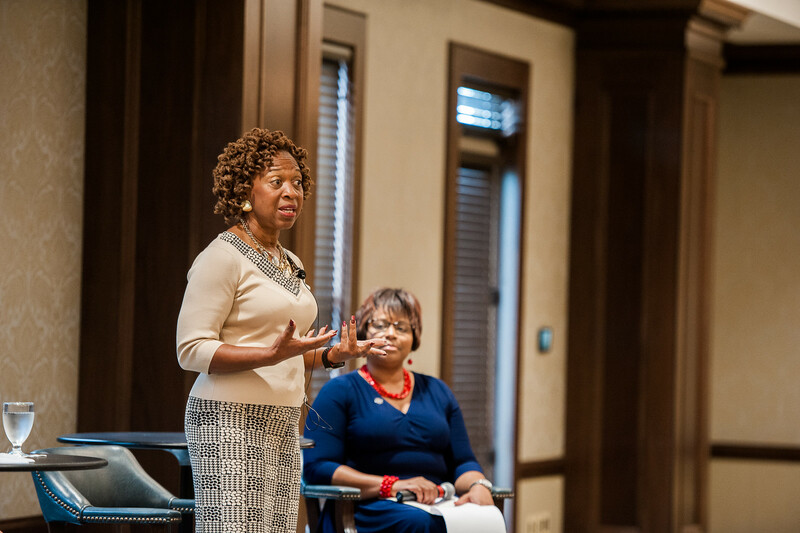 To celebrate Belmont’s diversity efforts and further the campus’ 125th Anniversary, the University’s Welcome Home Team invited Dr. Hewlett to campus to share her story with faculty, staff, students and alumni. Growing up in Bay Minette, Alabama, Hewlett lived on a red dirt road where mail was delivered a mile away from her house to Rural Route Box 3. While in high school, Alabama Governor George Wallace started the William Lowndes Yancey State Junior College in her hometown and Hewlett, with a group of her friends, enrolled. It was there that Hewlett said she developed a love for psychology, largely due to the commitment and dedication of her inspirational teachers. After arriving on campus, Hewlett said there were two things that immediately stuck out – beautiful gazebos and a welcoming spirit. “I never felt that I was unwelcome,” Hewlett said. “I never felt that they were just bringing me here because they needed that face to say to the world ‘Hey, look at us!’ I always felt that Belmont was welcoming me into the family.” After graduating from the College in 1970, Hewlett went on to obtain her Master’s Degree from Fisk University, her Doctorate from the University of Tennessee at Knoxville and pursued a rich career in higher education that ultimately led to her most recent position as interim president at Chattanooga State Community College. passion, resilience and a deeply rooted faith in God. “Surround yourself with your faith. Surround yourself with God. As God is leading you, get yourself out of the way. Carry him with you always so when you fall down, you know he is going to pick you up,” she said. Following her presentation, Hewlett was presented with a signed copy of Belmont’s recently published history book, From Here to Anywhere: Belmont University from 1890 – 2015, and the declaration of the establishment of the Dr. Fannie Hewlett Leadership Award. Scheduled to be presented to both an undergraduate and graduate student in the spring, the award is intended to celebrate diversity by recognizing courage, leadership and contribution to the creation of inclusion at Belmont. 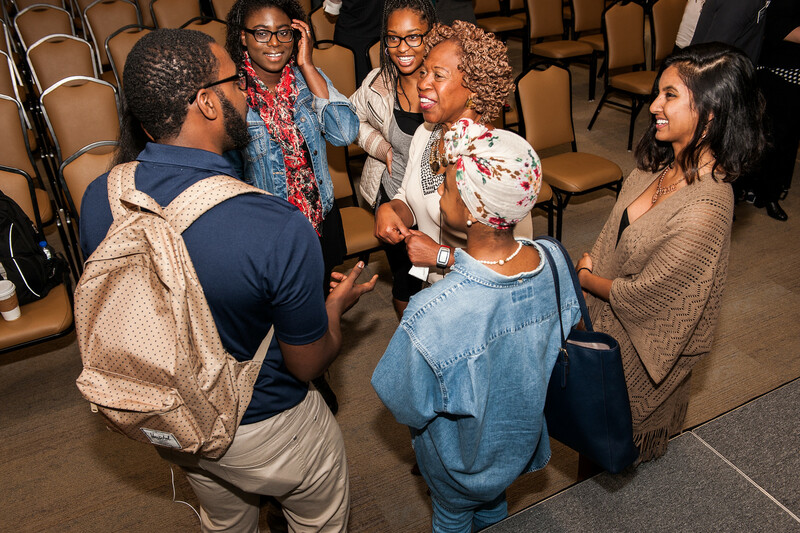 Belmont’s 2015 Diversity Week continues with Celebrate Diversity, an event featuring spoken word, live music and dance on Thurs., Oct. 29 at 6 p.m. in the Beaman Student Life Center. The week’s final convocation will be presented by local artist James Threalkill who will celebrate Belmont’s 125 anniversary by taking tiles created by members of the Belmont community and forming a collaborative mosaic art installation piece. To view a video of Dr. Hewlett’s presentation, click here.